What good is having a beautiful interior if you can’t see it? Essential for both form and function, good lighting is a designer’s secret weapon. The cozy glow of a lamp in a reading nook invites you curl up with your favorite book. Bright recessed lighting when you are chopping veggies in the kitchen makes the job safer and easier. Under counter lighting creates unparalleled ambiance. Evenflow Interiors was born from a multigenerational family of electrical contractors. We’ve been around lighting our entire life, so it’s second nature for us to notice lighting details that others don’t. Three types of lighting work together in your home, ambient, task and accent. A good lighting plan combines all three to illuminate an area according to function and style. 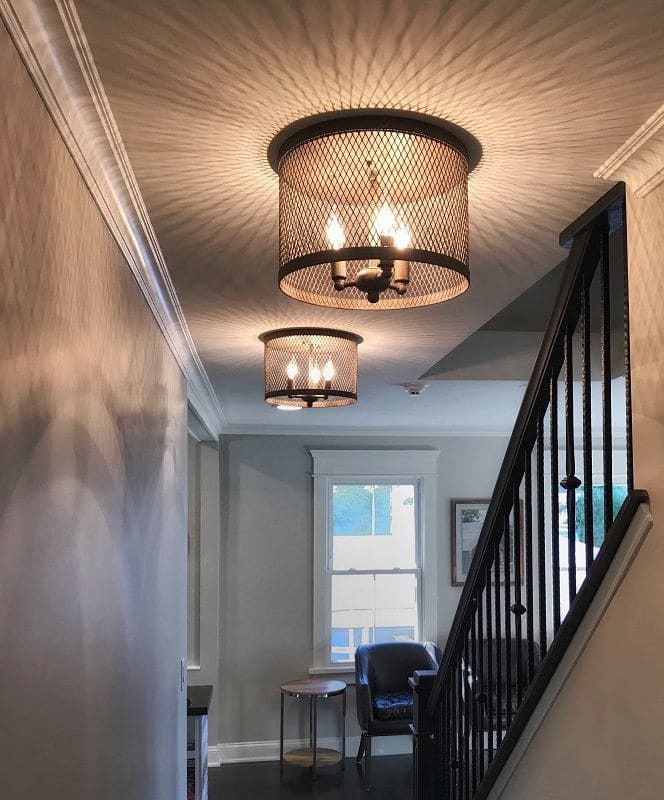 We carefully place important task lighting, provide ambient light for overall illumination and highlight specific points of interest with accent lighting. All of these work together to achieve a well designed lighting plan. When a room is perfectly lit, you might not be able to put your finger on exactly why the space feels so perfect. You just know you like the way you feel when you’re there.